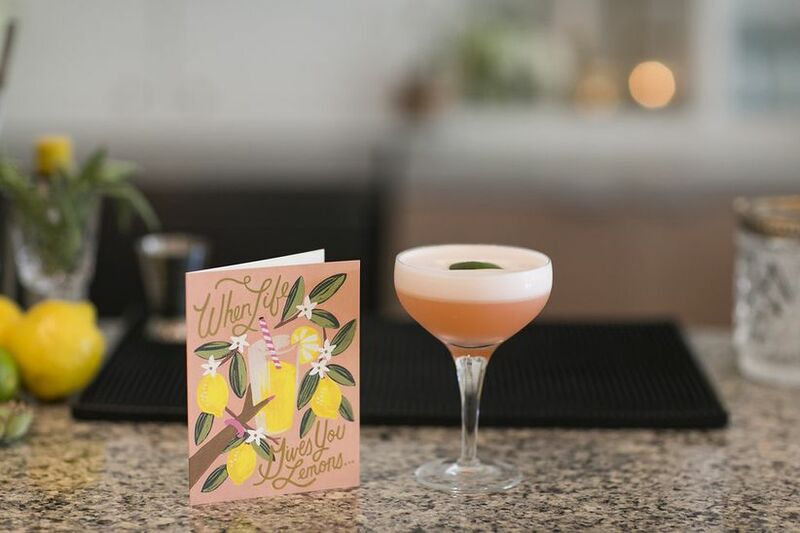 Wedding Bar and Cocktails 101 | Wedding Ideas ARE YOU A VENDOR? Ready to start stocking your wedding bar? We’ve got a few pieces of advice that’ll help get you started. Your wedding reception will be the bash of a lifetime, bigger and better than any house party you ever host. Now, unless you want a more subdued shindig you’re going to need to load up that bar with a healthy dose of beer, booze and bubbly (the ultimate trifecta). Before you make a beeline for the closest liquor store and start loading that cart with 60s of Smirnoff, you probably need a bit of guidance. 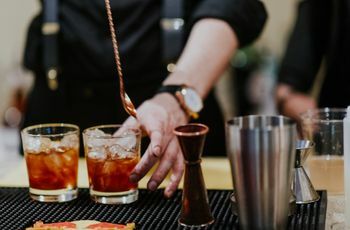 From choosing what type of bar you want to getting your liquor license, here’s everything you need to know. This is wedding bar and cocktails 101. Do I have to have an open bar? Everyone loves an open bar. Everyone. But consider if it’s worth it for your wedding day. 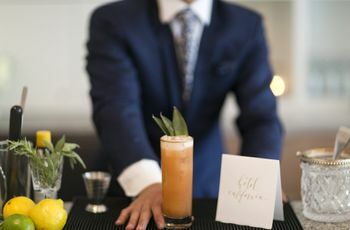 Having an open bar is definitely more expensive than a cash bar, so it’ll have a major impact on your reception budget. There’s also a good chance of your guests overindulging, but if you’re looking for a party atmosphere it could be just what you need. Weigh the pros and cons before making your decision. How much will it cost to stock my bar? Stocking your wedding bar will be the priciest liquor run of your life. Of course, the cost depends on how many guests of age you’re hosting, what kind of liquor you’re serving (you may want to skip the Johnnie Walker Blue Label) and if you’re going with an open bar or not. So, unfortunately there’s no real concrete range. Many planners estimate around $20 per guest, but it varies. If you want a rough estimate, use a drink calculator like this one. What liquor do I need to stock my bar with? 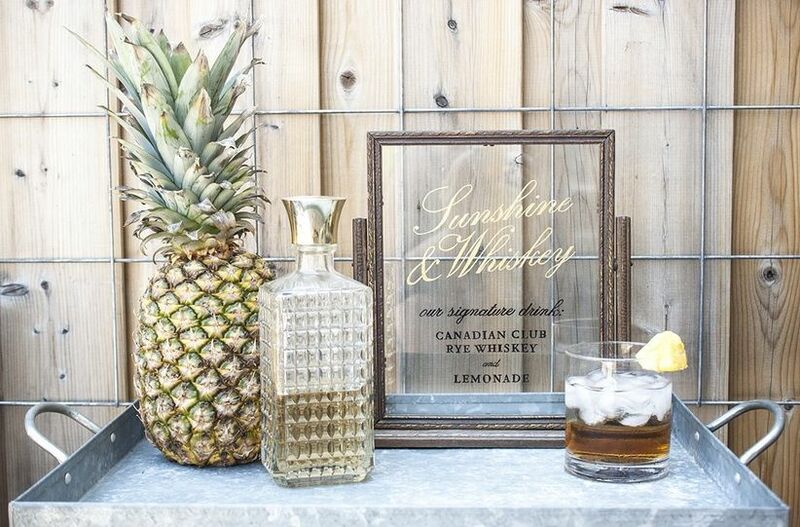 Your wedding bar doesn’t need to look like it belongs in a trendy Brooklyn hotspot, you just need the basics. Every good bar has the trifecta of booze: gin, vodka and whisky. If you want to go above and beyond, add tequila and rum to your roster. What wine do I need to stock my bar with? If you’re really into wine, feel free to go crazy with a masterfully crafted mix of merlots, cabernets, chardonnays, moscatos and zinfandels. Don’t feel like putting in the cash or effort? Here’s the short answer: you’ll need one variety of red and one variety of white, plus some bubbles. What mixers do I need to stock my bar with? You add whatever you want, but there are a few mixers that you’ll absolutely need: juices (cranberry and orange are standard), club soda, tonic water, cola and ginger ale. If you want to go crazy and throw in Mountain Dew or Dr. Pepper, that’s your prerogative. What beer do I need to stock my bar with? While your guests may have different tastes when it comes to beer, it’s safe to go with one type of brew for your big day. Think of your favourite lager, ale, IPA or pilsner and roll with it. You aren’t going to get very far without glasses, a corkscrew or a bottle opener, so make sure you have those bases covered at the very least. Other essentials include an ice scoop, tongs, bar rags, straws, shakers, stir sticks, buckets and coolers. What garnishes do I need at my bar? Stock your bar with a healthy dose of citrus, a few bottles of maraschino cherries and a maybe some sprigs of mint for good measure. Your signature cocktails - more on those later! - may require some special garnishes, so also keep those in mind. 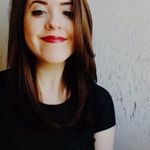 Does the season of my wedding make a difference? Though you may be cool with drinking a white wine spritzer in the dead of winter, not everyone thinks like that. 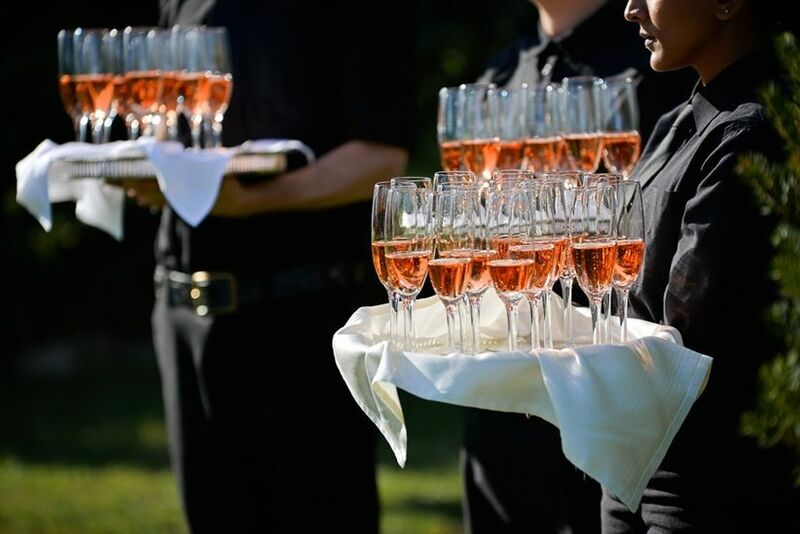 Weddings hosted in the cooler months normally have attendees reaching for red wine and dark liquors while guests at summer affairs tend to ask for champagne, white wine and drinks with clear liquor bases. Does the time of my wedding make a difference? Daytime parties and nighttime parties have completely different vibes. If your reception is happening during the day people may have a drink or two but probably won’t go crazy (meaning you can get away with skipping the open bar). Night time parties, however, are a different story. If you plan on your reception going until the wee hours of the morning, you’ll want to keep the refreshments flowing. Your guests expect a party and you should deliver. Should I make a signature cocktail? 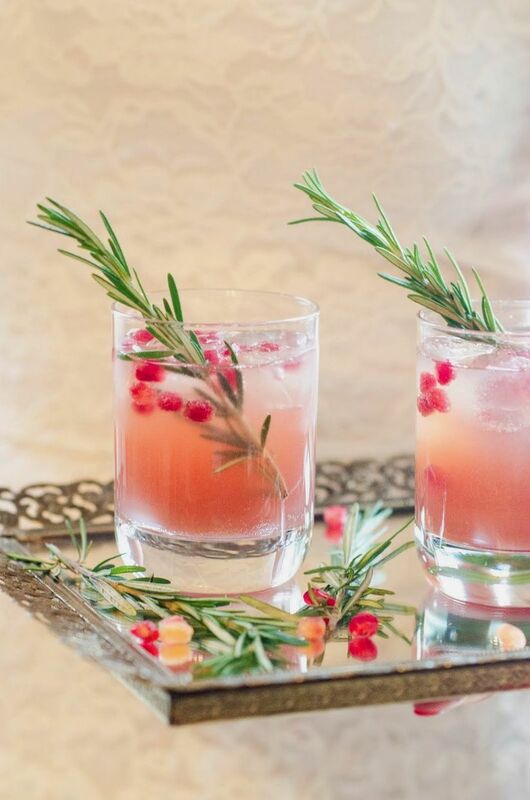 Signature cocktails are a fun way to add some personality to your bar. Consider crafting two custom drinks - one inspired yourself and another by your S.O. (this will add some much needed variety to bar rail and bubbly being served). Don’t know where to start? Think about the drinks that you love and go from there - remixing a pre-existing cocktail recipe is always easier than starting from scratch. Maybe add some lavender to that Moscow Mule you love, do a bacon-infused Manhattan or amp up a gin and tonic with some elderflower - now’s the time to let your inner mixologist shine. If you haven’t got a clue what to do you can always ask your bartender for some suggestions. What about a liquor license? 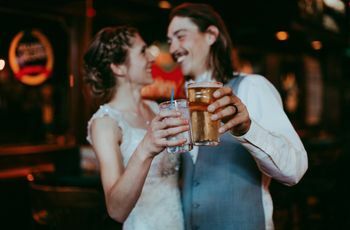 If you plan on serving alcohol at your wedding - which you probably do if you’re reading this - you’re going to need a liquor license. 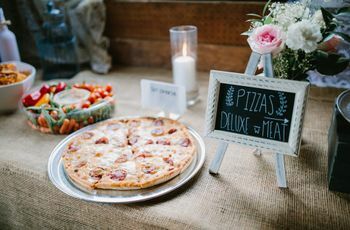 Now, if you’re hosting your big event at a restaurant, bar, hotel or event venue, there’s a good chance they’ve already got you covered, so you can skip this step altogether. However, if you’re having it somewhere off the beaten trail, like at a barn or beach, you’re going to need a permit (you don’t want the cops crashing your big day!). These are doled out by the provincial government under the title “Special Occasion License”. Look into getting one ASAP as some take a little while to approve. For example, in Ontario the application must be submitted 30 days before the event.